On the third day of our Thailand trip we decided book a tour to Ayutthaya from Asia Web Direct. Truth is, I was very hesitant booking a tour online because of reading too much horror stories from other travelers who are scammed. So I did a lot of research and even check the validity of the site from www.scamadviser.com which returned good results, so we gave it a go. The trip costs 1553 THB each. Below is the itinerary of the trip. 09.30 Arrive at the Bang Pa-In Summer Palace, built during the Ayutthaya era. The palace showcases an eclectic collection of buildings that blend European, Khmer, Thai and Chinese architectural styles. 10.30 Arrive in Ayutthaya, the former Thai capital for over 400 years. Witness the glory of the ancient capital through its temple and palace ruins, which still command respect and reverence amongst those who set a foot on their grounds. River Sun brings you a combination of the ruins and the remaining historical attractions. Wat Maha That - Over 600 years old, Wat Maha That was the heart and soul of Ayutthaya people. It was almost completely destroyed by the Burmese during the Thai-Burmese War. Wat Na Phra Mane - Remains in perfect condition, as it was used as the Burmese military headquarters during the war. The splendid Golden Buddha, dressed in regal attire, was placed in the temple along with the three thousand-year-old Buddhas carved from greenstone, both are considered extremely valuable national relics. Wat Lokayasutharam - has a mysterious past, whereby its origins are unknown. The temple enshrines a large reclining Buddha image, constructed in the style of Early Ayutthaya Period. 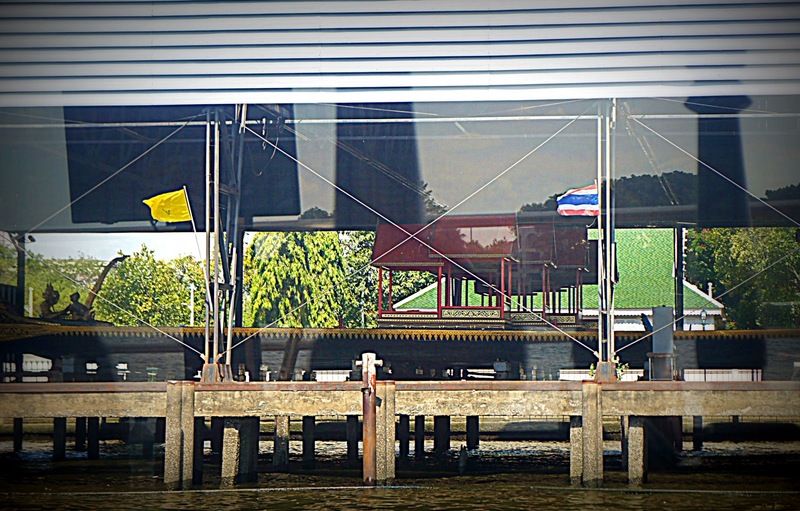 12.30 Depart Wat Lokayasutharam for the River Sun Cruise, embarking from Wat Chong Lom Pier, Nonthaburi. Buffet Lunch: Delicious meal served in the luxurious surrounds of a cruise boat. Afternoon - Coffee Break - Witness the beauty of the Chao Phraya River and rural life along the two riverbanks from the cruise deck or from the cool, air-conditioned passenger cabin. 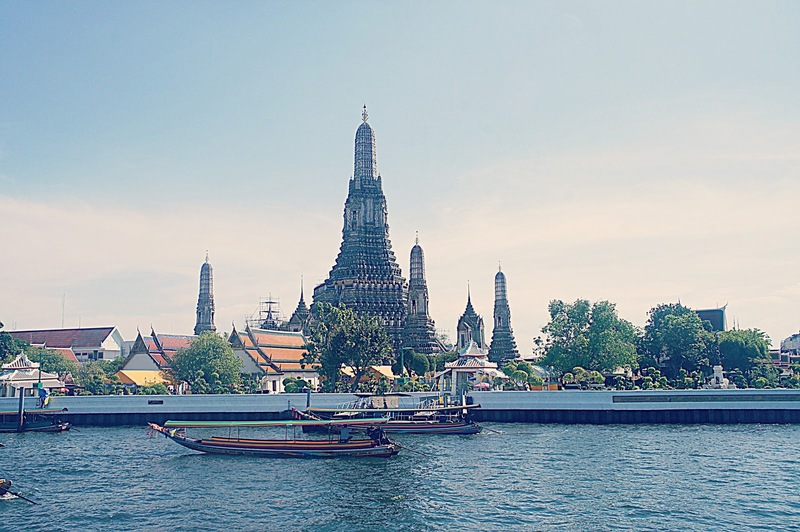 Arriving in Bangkok, you will pass by the majestic Grand Palace and Wat Arun (The Temple of Dawn). 15.30 (approx.) 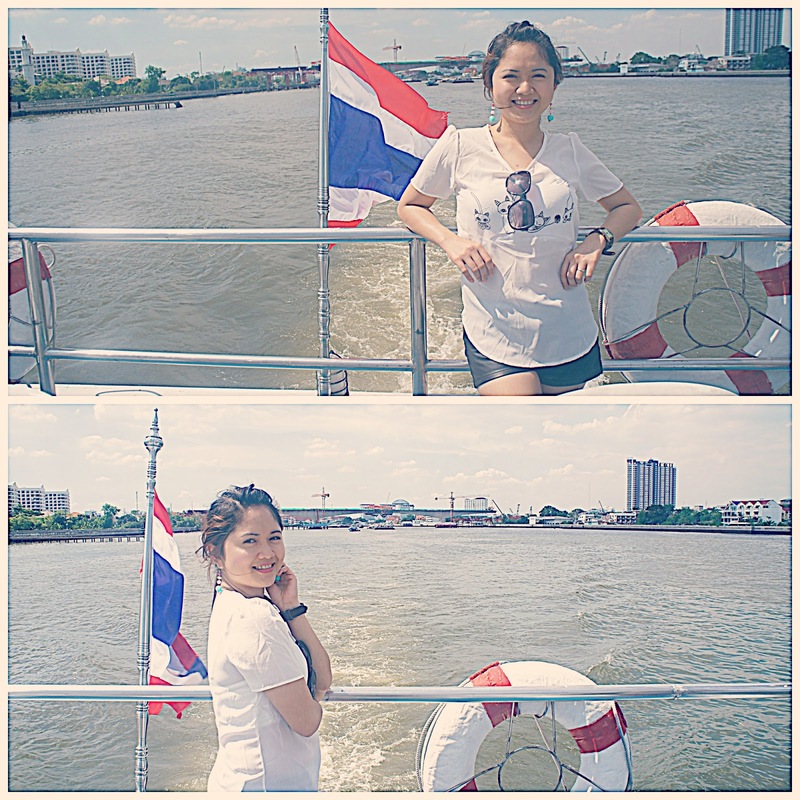 Arrive at the River City Complex Pier, Si Phraya. Throughout the trip, expert guides will explain the history and legends of the respective sights, which have all been carefully chosen to facilitate a comparative study of the past and present as well as highlighting the natural beauty of Thailand’s countryside. The meeting point was at Royal Orchid Sheraton Hotel at around 7:15 to 7:20 am. And from there our tour guide took us to River City Complex which is just next door. He then ushered us to our tour bus. The tour we booked didn't come with hotel pick-up so from The Sukosol Hotel so we took a taxi to Royal Orchid Sheraton which took us 10 minutes and cost us 70 SGD with tip. As far as I know, there are two lobby exits at Royal Orchid Sheraton Hotel so be sure to check both areas and look for your tour guide. After our tour to Ayutthaya city we then alighted the bus and transferred to our cruise boat. Notice the beautiful temple (still under construction) on our way to Wat Chong Lom Pier. The bus driver will then take the bus alone back to Bangkok. By the way, don't forget to give a tip to the bus driver. Finally, lunch time is here. I can't wait!!! We are all super hungry. I really enjoyed the lunch buffet at the cruise boat. For me this was the best experience I had in Thailand. Feasting, enjoying the river views, sharing a laugh with new found friends and just cruising back to Bangkok. I never thought it would be so much fun getting to know fellow travellers especially the revelation that they were also hailed from the same country as yours and speak your own native tongue which is bisaya. We really had a great time with them. We also enjoyed the views at the riverbanks. We've passed by Wat Arun (Temple of Dawn) and caught a glimpse of the Royal Thai boat which was still use by Thai Royals on special occasions. And so we've arrived at Bangkok. It's time to bid our farewells to our new found friends. Since they're still about to begin their Thailand excursion while we were about to end it we thought of blessing them with a map of Bangkok handed by to us by the staff of The Sukosol Hotel. Just a little souvenir from us to help them on their way around the area. The cruise boat dropped us back to the River City Complex pier. And we are now nearing the end of our Thailand trip.